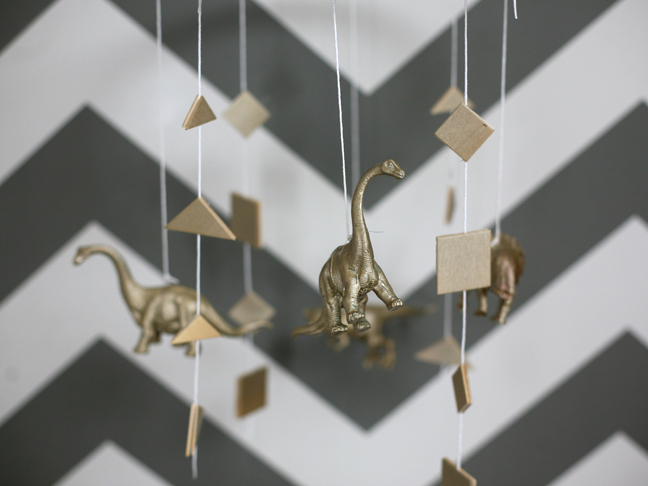 This dinosaur mobile DIY is one of my faves! 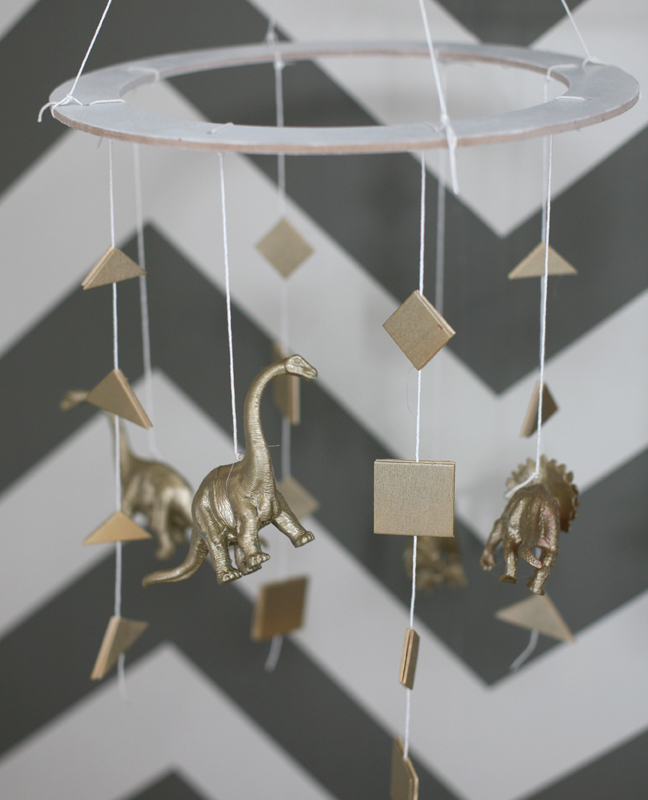 I always find myself obsessing over nurseries adorned with pretty mobiles hanging above the crib, so I made my own (in gold, of course!) to decorate my baby’s bed. I took a unique spin on the average mobile by spray-painting model dinosaurs and geometric shapes, and had so much fun doing so! 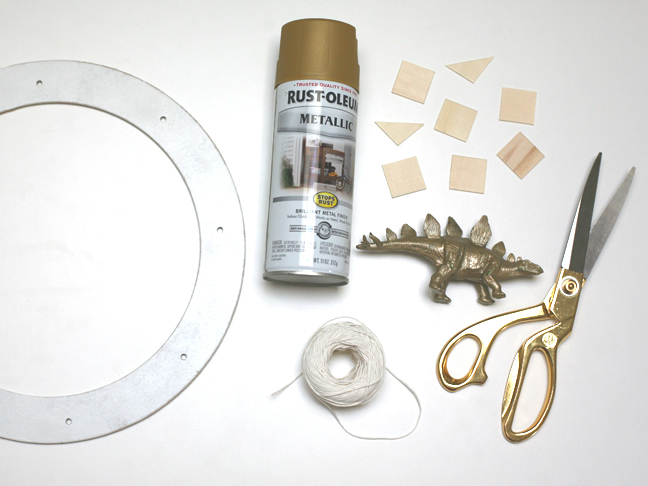 Step 1: Spray paint the plastic dinosaurs and wooden squares/triangles gold. 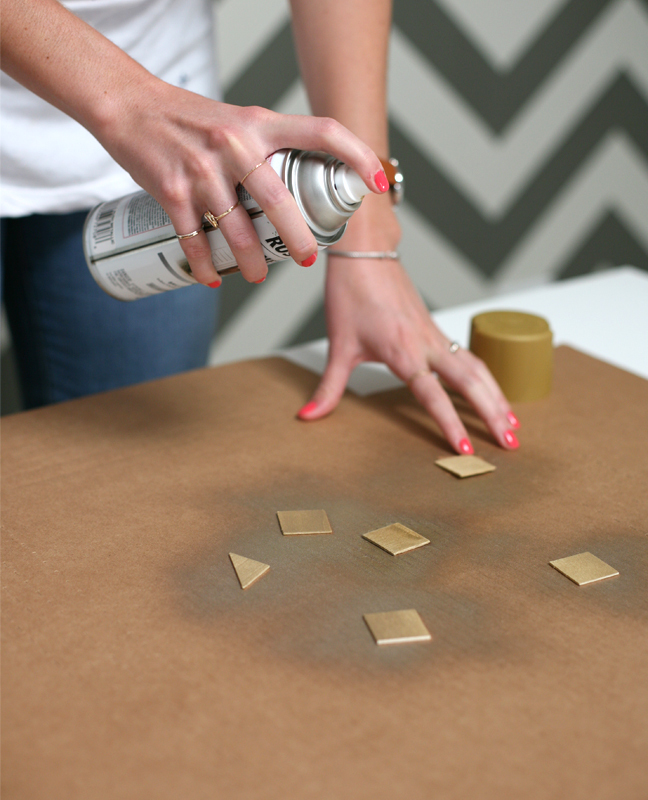 Step 2: Arrange the painted shapes in a vertical pattern of four of how you would like them hung. 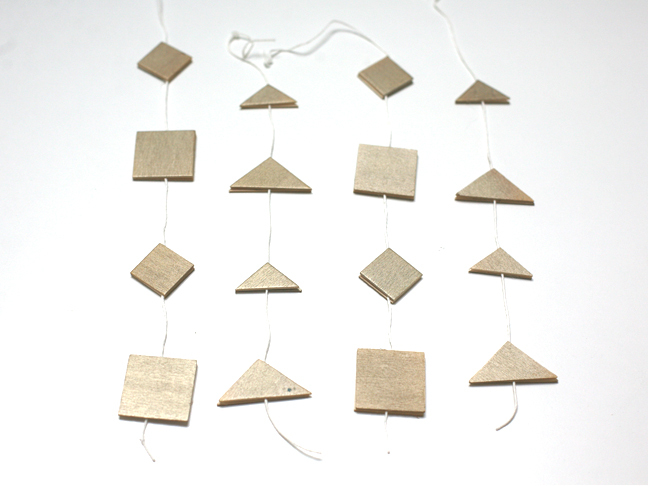 Here I alternated between squares and triangles and changed the angle they would hang, but the order is up to you! 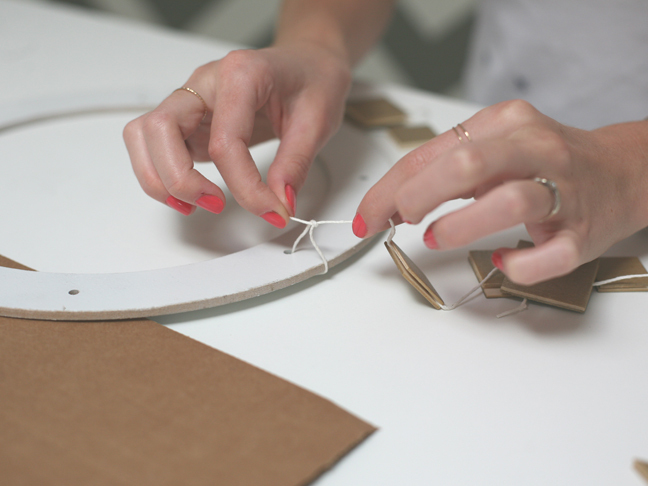 You will be gluing the shapes together, so to attach them to the string you will need eight shapes for each string and four strings total. 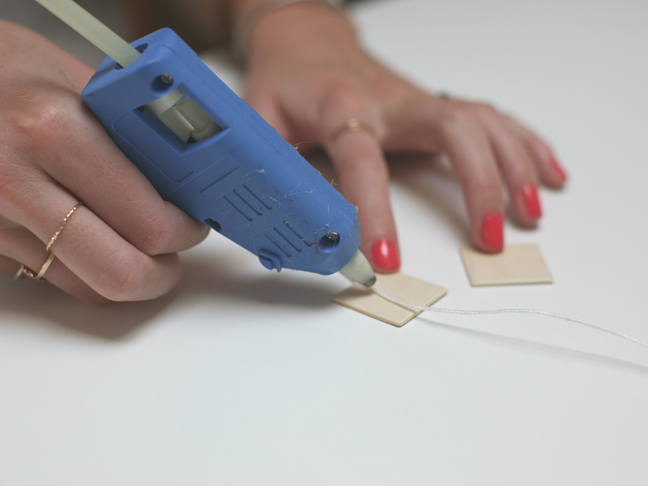 Step 3: Hot glue the shapes together with the string (the thicker string) in between and let dry. Step 4: Tie the thin sewing string around the body of the plastic dinosaurs, leaving it loose enough that there is a small gap between the string and the dinosaur. 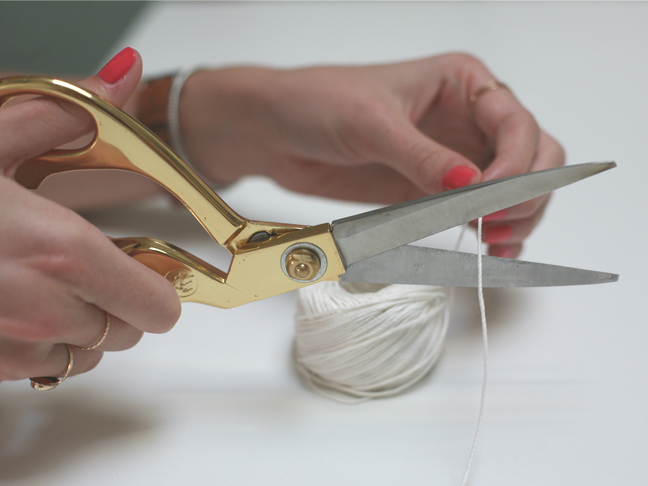 Slip the thicker string under that gap and knot it, securing the string to the dinosaur. 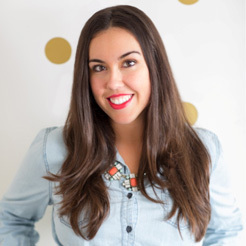 Do this with all four dinosaurs. Step 5: The craft ring I used had eight holes in it, so I alternated stringing a dinosaur every other hole, tying it on the inside of the ring, and stringing the shapes through the other four holes. 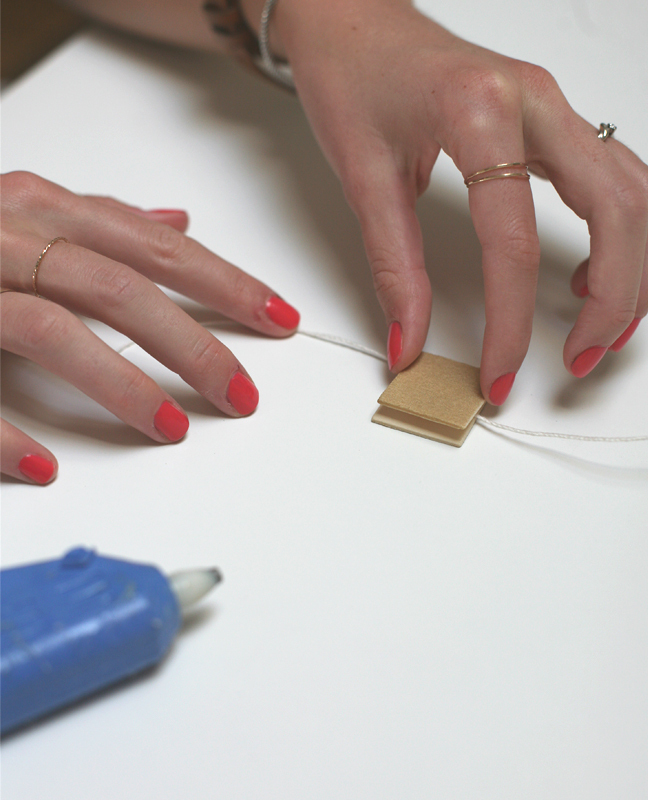 Step 6: Lastly, take four more strings and make them the desired length of where the mobile will hang. 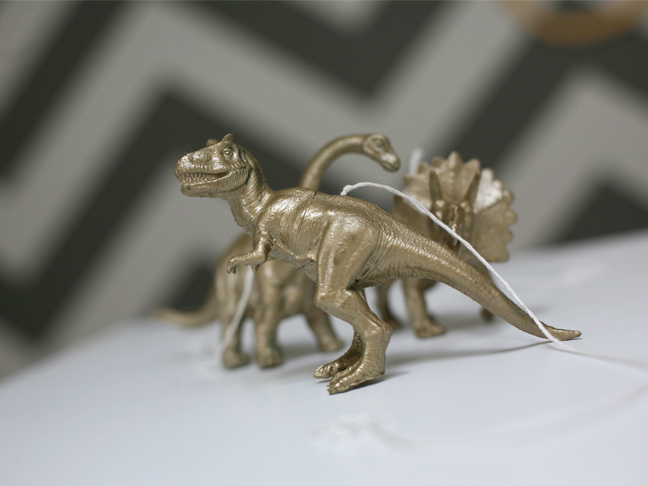 Tie these strings through the same holes as the dinosaurs, but around the outside of the ring. 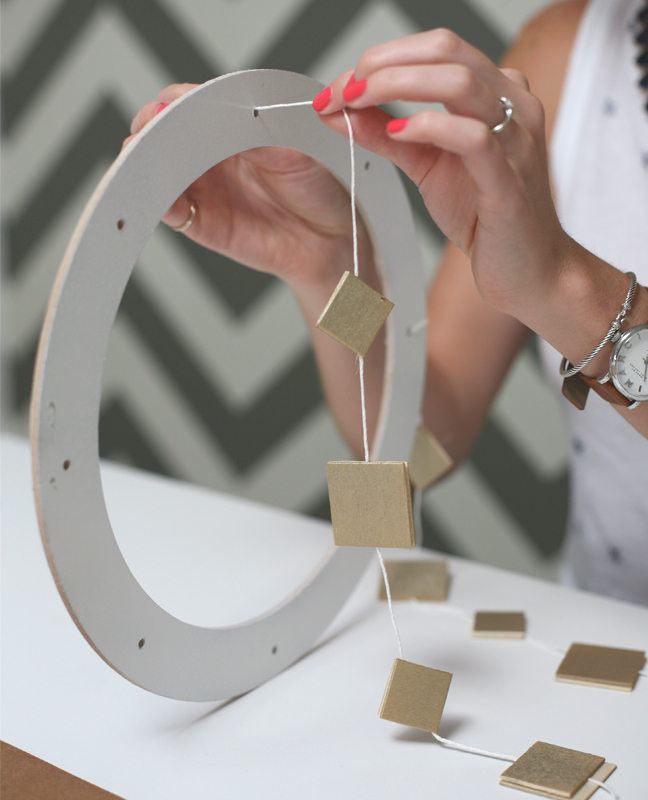 Step 7: Use these four strings to hang the mobile, and watch your little one enjoy it!